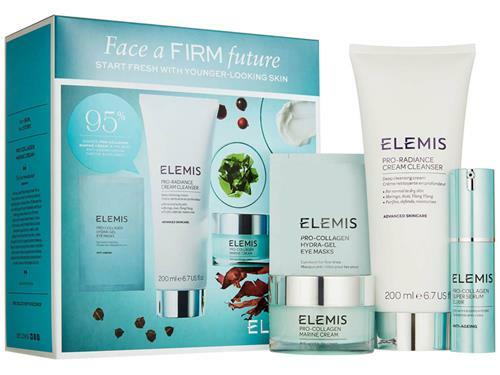 Rejuvenate your skin with the ELEMIS Pro-Collagen Firmer Future Collection. Powered by the Mediterranean Sea, this collection intensely hydrates and plumps the skin for a more toned, youthful-looking complexion. Pro-Radiance Cream Cleanser (6.7 fl oz): This luxurious deep cleansing cream helps defend against daily pollutants. 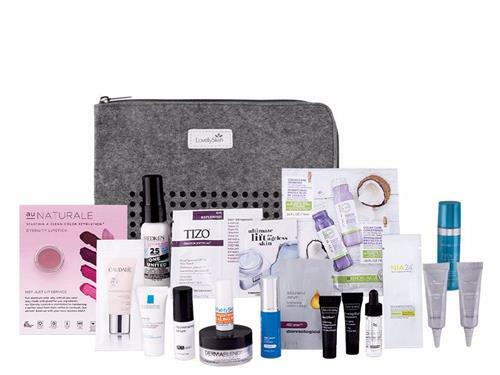 Make-up and grime are gently dissolved, revealing a radiantly youthful looking complexion. Pro-Collagen Super Serum Elixir (0.5 fl oz): Powered by the unique blend of intelligent bio-actives such as Anti-Aging Tri-Peptides, African Birch Bark, Red Seaweed and Padina Pavonica, this concentrated anti-aging elixir makes skin feel firmer with improved elasticity. Hyaluronic Acid, combined with omega-rich Camelina oil, provides superior moisturization leaving the complexion visibly smoother, plumper and more youthful looking. 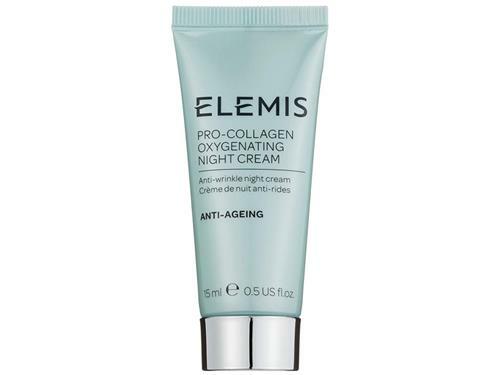 Pro-Collagen Marine Cream (1.0 fl oz): Pro-Collagen Marine Cream reduces the appearance of wrinkles, improves hydration and leaves skin feeling firmer and looking more radiant. Padina Pavonica has been blended with Ginkgo Biloba, Chlorella and precious Rose and Mimosa absolutes to moisturize the skin and visibly improve the appearance of fine lines, while supporting a feeling of suppleness, firmness and elasticity. Pro-Collagen Hydra-Gel Eye Mask (1 Application): These clinically proven hydra-gel eye masks are formulated to instantly reduce the appearance of fine lines and wrinkles. Potent plankton extract combined with the power of Padina Pavonica and Chlorella, provides an instant skin-tightening effect, whilst Hyaluronic Acid hydrates the fragile eye area.